There’s a lot going on when you bounce a ping-pong ball on a paddle. Tiny movements in the muscles of your hand and arm adjust to keep the ball centered, as you watch, feel and listen in order to react quickly and with enough pressure to not goof it up. 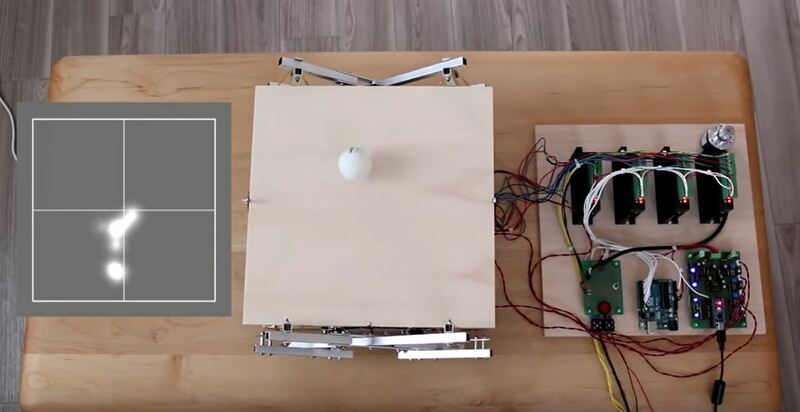 Arduino-tinkerer “tkuhn” created a machine that juggles a ping-pong ball on a platform by listening to the variations in sounds the ball makes when it strikes the wood. Like a human hand, it makes small adjustments to keep the ball center. Unlike us, it does it only using sound. Read more at Motherboard.